Seniors can finally live at home and their loved ones can finally rest easy. 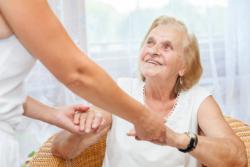 Caring Angels Home Care, LLC offers the services of caregivers who can provide for the basic care and heath supervision needs of the elderly in our community. Call us at 484-794-7346 for inquiries about services and the level of care that can be customized to your specific health situation at home.